Tracee Ellis Ross arrives at the "The Carol Burnett 50th Anniversary Special" at the CBS Television City on Wednesday, Oct. 4, 2017, in Los Angeles. 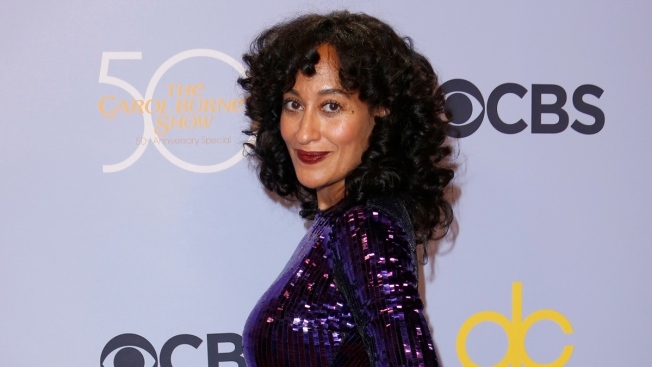 Tracee Ellis Ross will be close by when her mom, Diana Ross, is honored at Sunday's American Music Awards because she'll be hosting the show. Performers at Sunday's event in Los Angeles include Kelly Clarkson, Selena Gomez, Demi Lovato and Niall Horan. Christina Aguilera will perform a special tribute to "The Bodyguard" soundtrack, which is celebrating its 25th anniversary.